Pop the popcorn and pick out any unpopped kernels. Lightly grease a bundt cake pan and layer popcorn inside. Stir in gummy bears and smarties. In a glass bowl, melt 1/2 cup of butter in microwave. In a separate bowl, melt marshmallows in the microwave. Mix melted butter and melted marshmallows together. 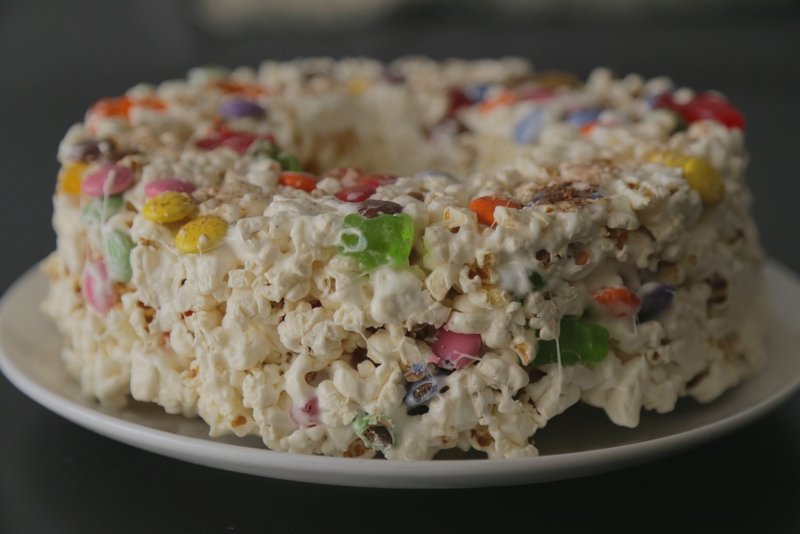 In bundt cake pan, mix popcorn and candy mixture with the melted marshmallow mixture. Stir throughout, coating evenly. Let rest for two to three hours in the fridge. 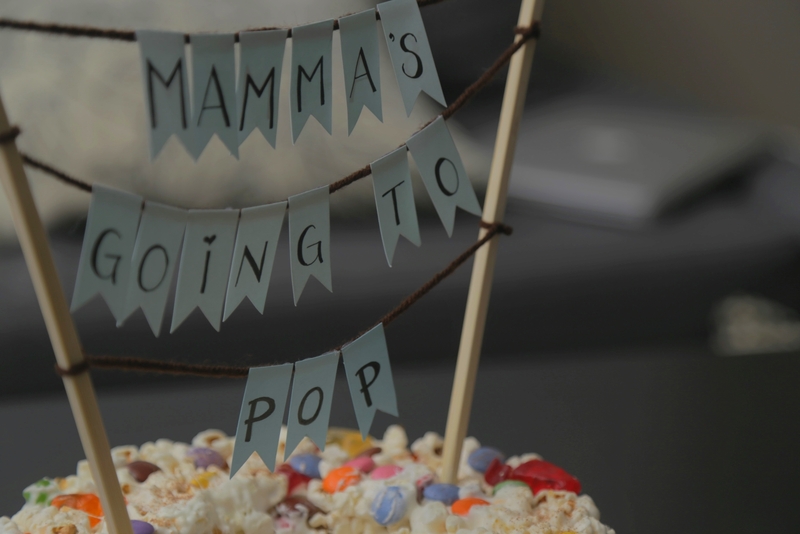 To remove cake, use a knife to gently separate popcorn from the pan and place onto a large plate. Lightly sprinkle some cinnamon on top and enjoy! This post is dedicated in memory of our littlest babe, Kära. This is so creative and looks delicious! Thank you for sharing! What a wonderful idea! 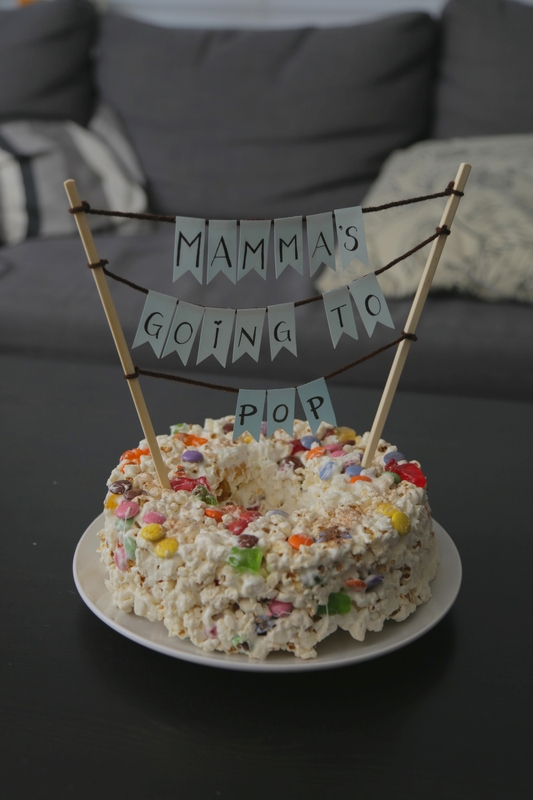 Popcorn Cake sounds absolutely amazing & can easily add other candies to it. Thanks for sharing, this is something I can make for the grandkids!